Major port operator DP World has zeroed down on India to launch its first cargo hyperloop, Chairman Sultan Ahmed bin Sulayem told CNBC at the World Government Summit in Dubai. “The first project will be in India, we signed an agreement and we are looking at how to test the project,” Sulayem said. 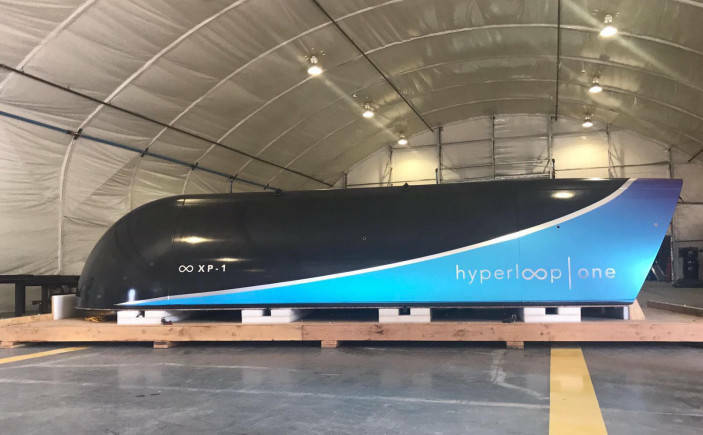 The UAE-based port operator had signed a partnership with Virgin Hyperloop One last year to develop a cargo transporter. The company is “eager now to move on to the next step. We are investing in something we believe is going to add value,” bin Sulayem said. Stating that there is a need for it in India, the Chairman said, “One of the big problems in India is transportation, the congestion.” He described hyperloop’s technology as a potential transformative solution for the country of 1.3 billion as it would run underground. The American transportation technology company, Virgin Hyperloop One, is one of the few companies working towards bringing to reality the high-speed technology concept of hyperloop. The technology promises to be faster than air travel, but at a fraction of the cost.